Andrew Macklin practices mainly in the areas of complex commercial litigation, consumer protection, construction/transition litigation and probate disputes. He also represents clients in personal injury and malpractice matters. He has achieved excellent results for clients in each of these practice areas at every stage, from negotiation through trial and arbitration. He is admitted to practice before the state, federal and bankruptcy courts in New Jersey, as well as the state courts in New York. Prior to joining the firm on a full-time basis, Mr. Macklin was a second year and third year law clerk at Cohn Lifland. He is a graduate of the Justice Morris Pashman American Inn of Court. While studying at Fordham University School of Law, Mr. Macklin served on the Executive Board of the Brendan Moore Trial Advocacy Center, and was Notes & Articles Editor on the Fordham Environmental Law Review. 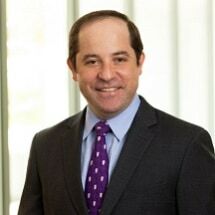 He has served as an adjunct professor at Fordham's law school, teaching trial advocacy. Mr. Macklin is a graduate of the Bergen LEADS Class of 2016. He has also been included in the list of New Jersey Super Lawyers Rising Stars in 2010 and 2012-2019, in Business Litigation, Civil Litigation and Estate & Trust Litigation. He was included in the list of Bergen's "Top Lawyers" in 2014, 2015, 2016, 2017 and 2018, by (201) Magazine, in Chancery Practice and Construction.